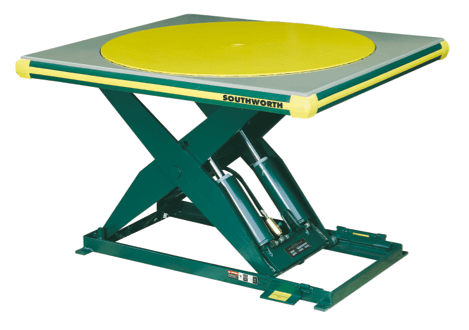 Material Handling Technologies (MHT) is an experienced and knowledgeable ally in the field of Lift Tables. We offer a variety of standard and custom options that will help you optimize your efficiency while also creating an ergonomically friendly working environment. From scissor lifts to pallet jacks and everything in between, we do it all. Check out some of the specific solutions we offer below, and give us a call to discuss how a lift table might be able to help you.